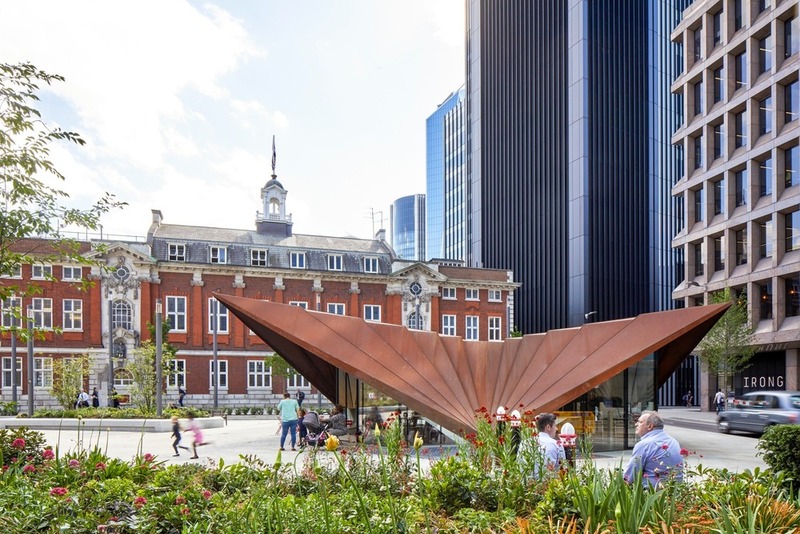 A new pavilion designed by Make has been unveiled as part of the City of London Corporation’s transformation of a former gyratory into a public space. 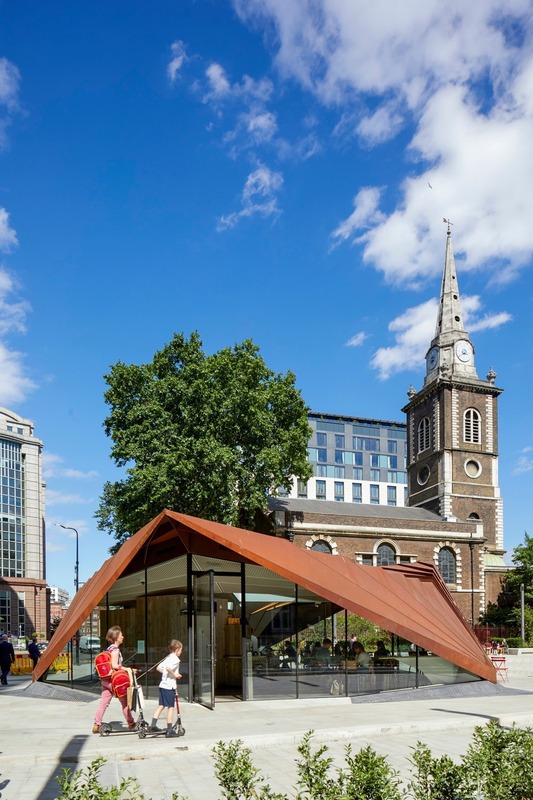 The Portsoken Pavilion by Make is a sculptural monocoque structure (it uses its outer shell to support stresses and loads) and will be run by local social enterprise Kahaila as a café and multifunctional community space. The 325 sqm building is a single storey above-ground but has utilised part of the former subways to accommodate a basement level for plant, back-of-house facilities, kitchens and toilets. 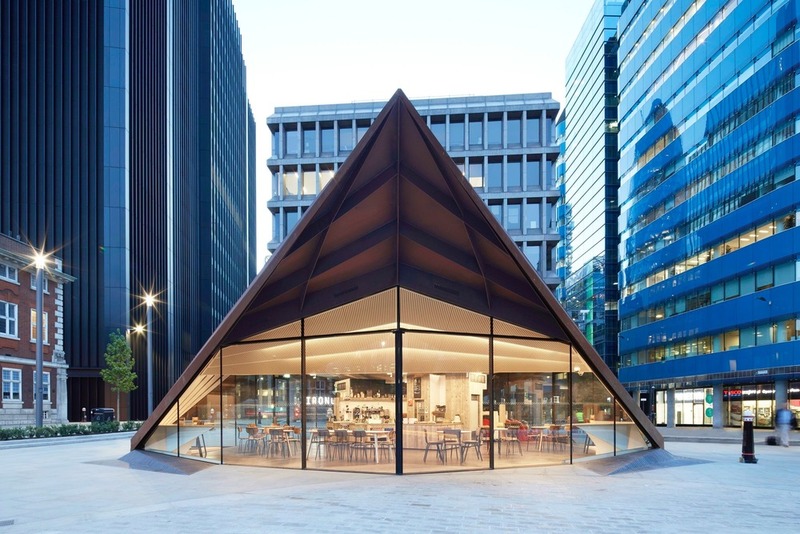 The design picks up on the asymmetrical angles of the City of London Information Centre with an angular structure that folds down to meet the ground at three triangular support points, with glazing in between. 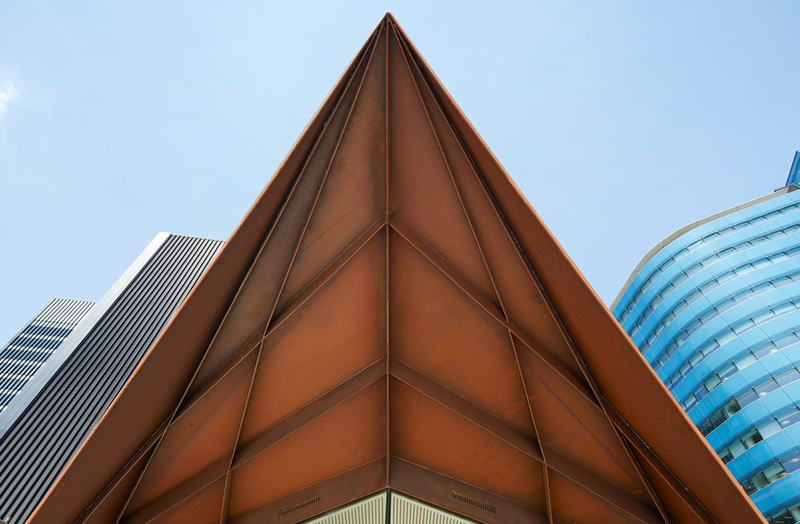 Corten cladding panels form a rigid structural skin covering the pavilion and create a faceted surface that reduces the overall profile of the pavilion and gives its character. 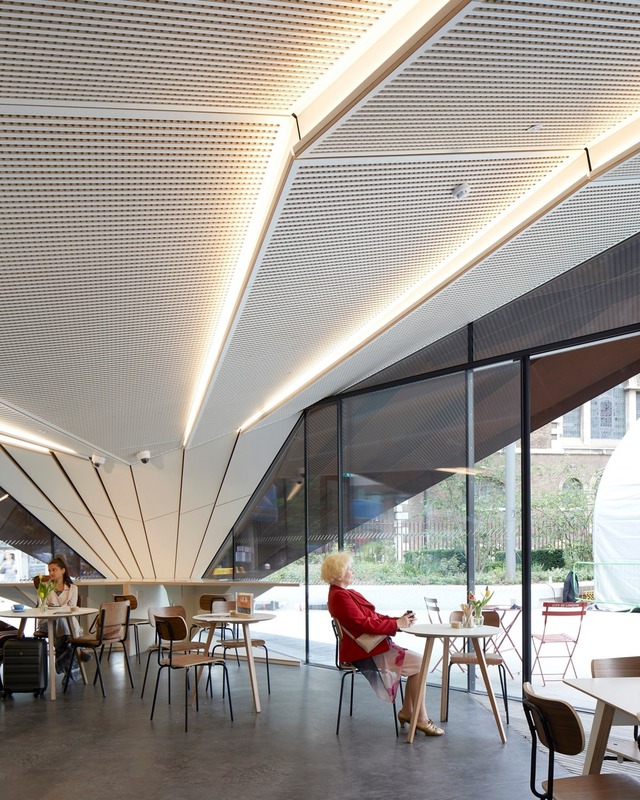 Designed parametrically, the pavilion’s form has been designed with respect to key pedestrian approaches to the new square meaning it has no backside, and its three glazed elevations face Duke’s Place to the north-west, Houndsditch and St Botolph Street to the north-east, and the new square and Aldgate High Street to the south. These elevations provide clear views into and through the structure. 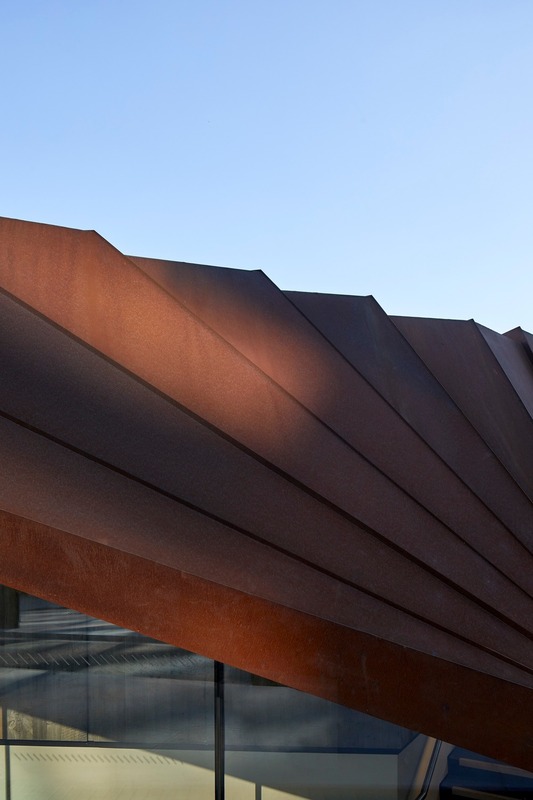 The entire structure was prefabricated off-site and then taken apart and allowed to rust while the site was prepared. It was brought onto the site in pieces and reassembled and welded in situ.